Sign Up to be a Selebrasyon! 2018 Volunteer! 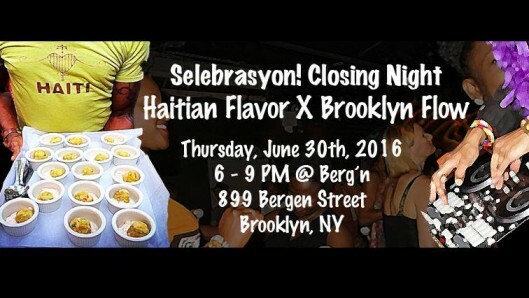 Haiti Cultural Exchange is proud to announce our third biennial festival of Haitian art and culture, Selebrasyon! 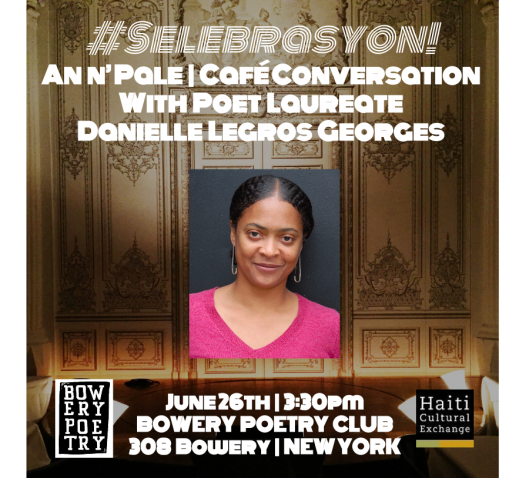 – New York City’s only festival dedicated to the promotion of the highest caliber film, dance, music, literature, and visual art of Haiti and its Diaspora. The festival will showcase the diversity, beauty and vitality of Haiti and its Diaspora through arts presentations of traditional Haiti to the modern day. We would like to invite you to work with us as a dedicated volunteer to make this year a success! This year’s Selebrasyon! 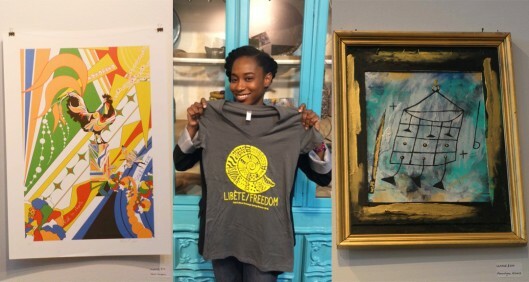 theme centers around Ayiti Angaje/Atis Angaje – an ode to artists, inspired by Haiti’s revolutionary spirit, who are building their artistic practice on social justice and socially engaged work. Through creativity, expression, and community, this two-month festival of Haitian Arts & Culture will bring together over thirty emerging, mid-career and established artists from Haiti and its vast Diaspora. Artists will present their work in community-based and main-stage venues throughout NYC. Opening Night Support Team: includes completing task exclusively related to Selebrasyon’s opening night event featuring Boukman Eksperyans. Flag Day Support Team: includes completing task exclusively related to Selebrasyon’s Flag Day event, hosted in collaboration with the office of Council member Jumaane Williams and Assembly member Rodneyse Bichotte. Hudson Guild Team: includes providing support to events happening as part of Selebrasyon’s expansion through the Hudson Guild’s Cultural Kaleidoscope Festival. Event Support Team: includes support at individual Selebrasyon! events such as sign in, event preparation, event-specific tasks, etc. Street Team: includes community outreach, flier placement, community partner engagement, etc. In-office Task Force: includes working in the HCX office to support activities related to the festival and online social media outreach. If you are able to volunteer in any capacity, please fill out this sign-up sheet which includes a sample schedule of the time commitment. If you have questions or know someone who may be interested in donating their time, email us at Veroneque@haiticulturalx.org. We deeply value and appreciate the time and energy of HCX Volunteers like you! Selebrasyon! 2018: Ayiti Angaje/Atis Angaje coming this May! View the 2018 Calendar Here! Boukman Eksperyans (HaitiXNY Artist) ushered in a musical revolution with their Grammy-nominated debut album, Voudou Adjae. This brilliant release introduced the world to Boukman’s worldly high energy sound fusing traditional Haitian and Caribbean rhythms with rock and reggae. Voudou Adjae brought the band international prominence and made them spokespeople for Haitian people. 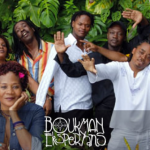 Since their emergence on the scene, Boukman has continued to release revolutionary critically acclaimed albums and mesmerize audiences World Wide from Haiti (where they draw tens of thousands of fans per show) to the Caribbean, throughout North America, Canada, Europe, Japan, and Africa both as a headlining act and alongside Wyclef Jean, Femi Kuti, and Baba Maal. 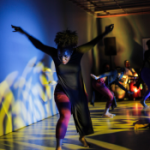 Dance Caribbean Collective is an organization dedicated to facilitating Caribbean Dance works, performances and cultural experiences in the Caribbean Diaspora with a focus on Brooklyn, NY. The collective is run by (DCC) Lead Artists who lead and design the programming, workshops and performances, and the (DCC) Powerhouse that does the behind the scenes administration. Through a collective model, DCC facilitates connections and collaboration between peer artists, share resources and create platforms to present dance and performance. Through their innovative programming and content, DCC cultivates audiences’ appreciation for both contemporary and traditional dance, reflects their own cultural experiences and traditions on stage, offers students opportunities to reconnect to their cultural roots, and provide spaces to address the issues facing our communities. 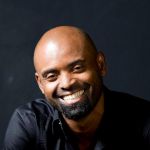 Jean-Rene Delsoin (HaitiXNY Artist) began dance studies in Haiti, followed by training at the National School Dance of Jamaica, and the Alvin Ailey American Dance Center among other prestigious institutions. His international dance credits include appearances with American choreographer Kevin Iega Jeff’s Jubilations!, and a two-year Latin American tour with Dominican singer Angela Carrasco. In 2004, after directing other dance projects, he ventured out on his own to form the Jean-René Delsoin Dance Center, as well as a company project now called the Compagnie de Danse Jean-René (COJRD). COJRD brings the richness of cultural expression and dances in Haiti to the world. It aims to bridge diverse communities worldwide by creating and producing dances of the highest level of artistry and versatility. For Mr. Delsoin, dance is as borderless as the dancing body is both particular and universal. 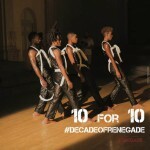 Dance is accessible to all: its messages resonate in Haiti and in all reaches of the globe. Forty-five works by Mr. Delsoin and five choreographers from Haïti and abroad utilize modern, jazz and contemporary dance techniques alongside traditional Haitian dance. These dance performances explore quotidian practices and concerns in Haiti alongside universal themes. The fusion of techniques in COJRD champions the vision of a contemporary Haitian who nurtures his traditions and mores while living in the present and embracing what the future holds. 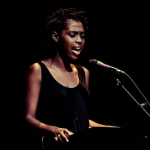 Jehyna Sahyeir (HaitiXNY Artist) sings with the Haiti-based collective Feu Vers. She studies language and interpretation at Quisqueya University. An actress in the Actelier troupe of the Pyepoudre cultural center, she performed in “The Knight of the Water” in 2012 at the Four Paths Theater Festival under the direction of Françoise Bourdut. Jehyna Sahyeir Célestin sang in a reading show during the Rencontres québécoises in 2013. She went to Dieppe, Rouen and Neufchâtel, France with Pyepoudre to play in the show “At the Crossroads of the Islands.” She presented her solo project, a demo called Slam Attitude. Josue Azor (HaitiXNY Artist), born in 1986, is a self-taught photographer. He has been traveling around Haiti since 2008, to merge his passion for photography and his appreciation of Haitian practices. His work has been exhibited regularly in Haiti, at the Brazil-Haiti Cultural Centre, the French Institute, and Fondasyon Konesans ak Libete (FOKAL). Internationally, his works have been exhibited in Rome, Italy (2010), Montréal, QC, Canada (2011), Durham, NC, USA (2015). Kriyol Dance! Collective, founded in 2016, is a collective of artist-leaders working together to create one platform advocating for the unapologetic voices of Black arts, and Haitian culture in particular, through collaborative and unified work and intervention. Each artist participating in the collective creates original work focused on the preservation of Black diasporic culture, Haitian culture, and the promotion of Haitian life through engagements arts. Artist-leaders work to develop innovative and multi-pronged approaches to use art as a tool for commentary as opposed to simply entertainment. 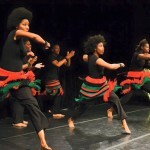 ​The group uses dance, music, poetry, and writing to develop, advance, and uplift our communities. Currently, this work is centered in Brooklyn, New York and in Port-au-Prince, Haiti through the partnership and lasting influence of Societe St. Michel Archange, its members, and its extended youth community living in Rue Magazine de L’etat. 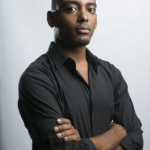 Maksaens Denis (HaitiXNY Artist) graduated from the Ecole Supérieure de l’Audiovisuel (ESRA) of Paris, France (1992). 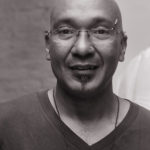 He participated as an artist in residence in several places: Donko Seko space in Bamako, Mali (2011), Institut Français de Brazzaville in Congo (2011) , Greatmore Studios of Capetown in South Africa (2009) and the Société des Arts Technologiques SAT in Montréal, Canada (2002). In 2010, he was involved in the project _trans- realized in Madagascar, Haiti and Cameroun, under the aegis of Revue Noire & AfricAmericA. Maksaens Denis also realized E Pluribus Unum, a documentary on the sculptors of the Grand’Rue of Port-au-Prince, André Eugène and Jean Hérard Céleur (2002) ; L’Arbre de la Liberté the question of religion (2004) and is often involved in multidisciplinary collaborative projects (dance, theatre, video). Renegade Performance Group (RPG) was founded in Brooklyn in 2007 to engage a new generation of audiences to performance, media, and culture. The company was formed as an artistic outlet to foster dialogue compelled by the human experience. Since the company’s inception, RPG has performed throughout NYC, domestically, and internationally. RPG has received several residencies, awards and support for its ongoing work from institutions such as the Jerome Foundation, CUNY/Dance Initiative, the Brooklyn Arts Council, Harlem Stage, the Foundation for Contemporary Arts, the Brooklyn Museum, MoCADA, Danspace Project, The Studio Museum of Harlem, 3LD Art & Technology Center and The Kennedy Center.